Get your weekly dose of Irish at Irisharoundtheworld.com/join All things related to being Irish. Irish humour, trivia, heritage, pictures and much more. We are all so spread out around the world but also so connected. 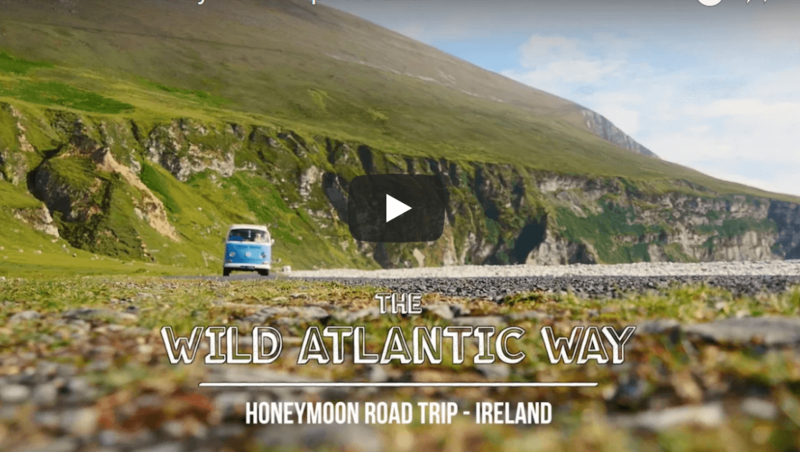 Get ready to be blown away by this incredible Irish honeymoon video. She created the film as a way to share the trip with her family and friends, but the video quickly went viral after she posted it on her Facebook page. I didn’t think it would get so much attention. I’m delighted to see the positivity it brought to so many people and renewed a love for Ireland within many Irish themselves. It had hundreds of comments from couples and young groups of friends speaking about how they were doing this next summer and even more from people from abroad,” she said. This is not the first video Edwina has done check out her YouTube channel here. Away sixty six years but Ireland will always be home. firstly i had adjust to climate change, fresh crisp air…natural sites , cliffs of mohair beautiful,the countryside ,the narrow cobble stone roads . i loved being safe, taking the buses ,walking through the streets of dublin,night life was awesum. Need to send money abroad?